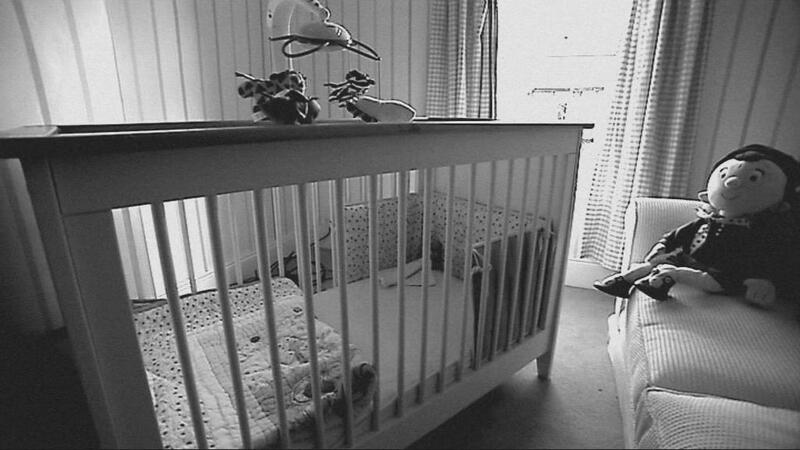 A PUBLIC health education campaign on the risks associated with babies sleeping in their parents’ beds should be considered for Northern Ireland following a review into the death of a baby who had been co-sleeping. This call, and the need for revised advice for parents and professionals, were among the key recommendations following a case management review (CMR) carried out by the Safeguarding Board for Northern Ireland (SBNI) which examined parenting in the case and how professionals responded to the child’s needs. A second report - which investigated rib fractures and bleeds to the brain in another young baby from Northern Ireland who was eventually placed in kinship care - has criticised hospital staff for not exploring whether bruising had been caused by non-accidental injury. Since the review of this case, work on the adoption of a SBNI Regional Protocol regarding bruising in babies who are not independently mobile has been completed and is being implemented. The Safeguarding Board also said improved guidance on Safeguarding Babies at Birth when there is a risk of significant harm has been produced and is also being implemented. Both babies were on Northern Ireland’s Child Protection Register. The SBNI this week published the executive summary reports for the CMRs for these two cases. They are the first CMR reports to be published by the Safeguarding Board since it was established in 2012. The reviews are being published to ensure that learning from the cases is disseminated to both the public and professionals working with children. A further seven cases are at different stages of the case management review process. CMRs are carried out when a child dies or is seriously injured and abuse or neglect is known or suspected to be a factor. The reviews examine the facts in each case and make recommendations for future action. They do not apportion blame - that is a matter for the courts and the coroner. The introduction of a structured recording format for nursing staff in maternity, neo-natal intensive care and paediatric wards to monitor visiting of parents or carers of ‘at-risk’ babies. The SBNI, the Health and Social Care Board and the trusts should instigate further debate about creative ways of engaging GPs in the child protection process. Pseudonyms have been used in the reports and location names and date of death have been withheld to protect the anonymity of the children and their families. Baby Alex was found lifeless by his mother in the parents’ bed. His father attempted to resuscitate him but he was pronounced dead at hospital. Alex’s name had been on the Child Protection Register. The hospital emergency department immediately informed the PSNI and the social work out of hours duty officer who in turn advised the trust chief executive and the Department of Health. The Health and Social Care Board and Safeguarding Board (SBNI) were also informed. The preliminary findings of the post mortem examination indicated that Alex’s death was a Sudden Unexplained Death in an Infant (SUDI) and that the death was not suspicious. The autopsy identified that Alex had an infection at the time of his death but it was uncertain as to whether this would have definitely proved fatal. At the time of Alex’s birth, there were a number of other young children in the family. Alex’s father has a long history of drug addiction and criminal behaviour, with many convictions for a variety of offences. He has served a number of prison sentences. The family were known to health visiting services and social services. Throughout 2011 there were ongoing concerns about drug and alcohol abuse, parental separations and the impact of both parents’ mental health on their ability to parent. The children’s names were added to the Child Protection Register in 2012 and the potential for care proceedings was formally discussed with the parents. This resulted in both parents committing to fully engage with the Child Protection Plan. When the mother became pregnant with Alex her attendance at ante-natal services was regular and she was given advice on preventing Sudden Infant Death. A pre-birth case conference in late 2012 resulted in the unborn child’s name (Alex) being included on the Child Protection Register and it was determined that a multi-disciplinary child protection plan was needed. An additional requirement that his father could not sleep in the family home was added following him being charged with possession of drugs a short time later. He was allowed to return to live in the family home at a case conference which took place before Alex's death. The report states that the short period from Alex’s birth until his death was described by all professionals involved as the most stable in the family’s history. There were no indications that his father was abusing drugs, the parental relationship seemed stronger and all the children, including baby Alex, were well cared for. The CMR report concludes: “Alex’s death occurred at a time when this family appear to have achieved an increased level of insight and stability and there is no evidence that any additional actions by any of the involved agencies could have prevented this death. “Staff in every agency engaged effectively and appropriately with both parents in a manner consistent with their role and were open about sharing their concerns with both parents. "Alex was clearly a much loved child and the CMR team extend their sincere sympathy to the family, siblings and the wider extended family." Advice to parents and professionals on the risks of co-sleeping should be revised to take account of the findings of the current SBNI/Public Health Agency research being undertaken in NI. Relevant medical, nursing and social care staff in each agency should receive appropriate information and/or training, based on a training needs analysis and a public health education campaign should be considered. SBNI, the Health and Social care Board and the trusts should instigate further debate about creative ways of engaging GPs in the child protection process. SBNI should facilitate a regional debate on the circumstances under which parents and carers can be compelled to undertake toxicology screening in the event of a sudden unexplained death in infancy and in particular where co-sleeping has been a factor in the fatal sequence. The full executive summary report on Alex’s death can be found here. Francis’ mother’s family had been known to social services and other community professionals during her own childhood in relation to allegations of physical abuse, neglect and emotional abuse when support services had been provided on an intensive basis. Francis' mother and her siblings were eventually placed in care – just before her 17th birthday. Francis’ mother had another child, ten months older than Francis, who after a residential assessment was placed with his father. Francis was born prematurely and spent six weeks in a neo-natal intensive care unit. Francis’ mother and partner stayed in a parents’ room in the hospital for two nights prior to Francis’ discharge. A routine check before discharge found three small bruises on Francis’ back. They were considered not to be consistent with fingertip bruising and medical tests were undertaken which were normal. He was discharged to the care of his mother and her partner to a residential placement organised by the health trust. A number of days later Francis was seen at an A&E department with further bruises but returned the same day to the residential centre. And again, a number of days later, he was referred to hospital by an out of hours doctor due to further bruising appearing on his body. The report states non-accidental injury was not considered to be the primary explanation and he remained in hospital for a week for tests for any underlying physical cause or illness. Although none of the tests were conclusive, Francis was discharged again to the care of his mother and her partner. The following day new bruises were noticed by the family and brought to the attention of the health visitor who advised that Francis should be taken to hospital. X-rays revealed multiple rib fractures between two and four weeks old which had not shown up on an x-ray taken on a previous admission. An MRI scan also confirmed several bleeds to the brain of different ages. Trauma, either accidental or non-accidental, was now considered to be the primary explanation for the rib fractures, bruising and injury to Francis' brain. On discharge from hospital, Francis was made the subject of an emergency protection order and was subsequently placed in a long-term kinship placement. Francis suffers from a range of long-term physical and cognitive disabilities. His mother and partner have continued to deny that they either individually or as a couple ever physically abused Francis. The case review focused on the four months before Francis was born and two months after his birth at which time he was placed in foster care. It highlighted good practice such as the prompt action of the health visitor for Francis, who was a newly qualified member of staff, and the work of the social worker. However, the review concluded there were a considerable number of lessons to be learnt from the analysis of practice in this case. There had been adequate time to convene a pre-birth child protection case conference. Unfortunately this was not done. The result was that the multidisciplinary services were reactive to events rather than proactive. It is of concern that different hospital based medical and nursing staff noticed bruising to Francis but did not explore if this might have been caused by non-accidental injury. The recommendations include the SBNI preparing multidisciplinary guidance to support practitioners in relation to safeguarding unborn babies and managing the risks following birth. The full executive summary report on Francis’ case can be found here. We asked the SBNI to comment on the two cases. Referring first to the death of Alex, Glenys Johnston SBNI interim independent chair of SBNI, said: “The loss of a child is the most devastating experience a parent can face. “The death of baby Alex is a personal tragedy for the parents and family members and I wish to convey my deepest sympathies to them. Baby Alex died as a result of a Sudden Unexpected Death in Infancy which could not have been predicted or prevented. “The CMR identified good multi-agency working, liaison and coordination between agencies. It found that staff effectively engaged with the family and that the family were fully engaged and cooperated with agencies. She added that it is clear that professionals and parents need to be provided with messages about the risks of co-sleeping and these are being produced. And commenting on Francis’ case, Mrs Johnston said: “Francis suffers from a range of long term physical and cognitive disabilities. My thoughts are with Francis, the parents and family circle. Francis is making satisfactory progress and remains in a loving home with an extended family member. She added that the review undertaken on Francis' case does identify areas for learning and makes a number of recommendations to improve safeguarding and protection of children. And that work on all the actions identified through the review are being taken forward and monitored by the SBNI. The Detail has been reporting on case management reviews and calling for their publication for a number of years. 2011: The Health and Social Care Board provided rewritten summary reports in place of CMRs when The Detail requested them under Freedom of Information legislation after previously reporting on cases released under FOI. The HSCB stated that to publish the full executive summaries would lead to the disclosure of personal data. The Detail took this case to the Information Commissioner and a tribunal in London but lost our case. In the same year, The Detail called for case management review executive summary reports to be published in full. See here. September 2012: The Safeguarding Board for Northern Ireland took over the case management review process. November 2012: media guidance for reporting on child abuse and neglect in Northern was launched in Belfast. The eight-page booklet was produced by a working group representing journalists, including The Detail, and childcare professionals to help with reporting on cases where children have died or have been harmed as a result of abuse and/or neglect. January 2013: Academics from Queen’s University in Belfast and children’s charity the NSPCC published a report after reviewing the 24 case management review reports completed in Northern Ireland between 2003 and 2008. Click here. 12th January 2016: the executive summaries of the first two CMR reports to be completed by the Safeguarding Board are published.